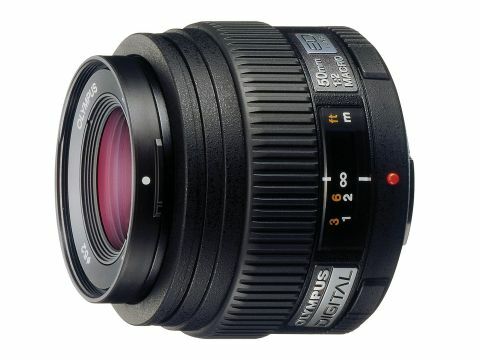 This Four Thirds lens has 'macro' on the side but only a 1:2 magnification ratio. It relies on the 2x crop factor to bring objects up to size. Despite this, the 50mm lens feels more like a 100mm on Olympus bodies, giving it an ideal focal length for macro tasks. Centre and edge definition were good when shooting wide-open at the f/2 maximum aperture, but dropped off at apertures smaller than f/11. There's no front element rotation with focusing and the barrel doesn't protrude far at closest focus range. It draws back in to infinity when you switch the camera off too. However, there's no focus limit switch or controls on the lens barrel, or a manual focus override, so you have to use the camera's menu system.